Garage Door Safety is our number one priority. It is even more important than running our business and is at the core of our brand promise. Many people do not realize that a garage door and its system can be a very dangerous thing. There are safety precautions within several different parts of the garage doors operation. Warning ⚠️: Please do not try to operate a broken garage door or mess with its parts. If you need free help and tips Handyman Garage Doors will get a technician on the phone to advise you on your best options. Several different parts can be very harmful or even cause death if safety precautions are not taken. Extension springs are a known problem if they happen to break or snap they can ricochet at extreme speeds. Many homeowners have reported broken car windows, broken garage door windows, items in the garage taking damage or even 2 inch sheet rock breaking from a broken spring. You wouldn’t want to imagine what a broken garage door spring can do to a human or a pet. A broken torsion spring can release the whole weight of the garage door and slam it down at extreme force. If something or someone is in the way this can cause serious injury or death. Please do not try to fix a torsion spring if you are not certified and experienced in torsion spring repairs. 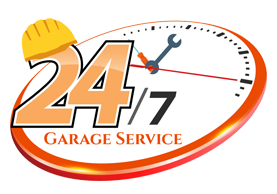 Take safety precautions and call a certified garage door technician in New Jersey. Some safety precautions are not directly involved with your garage door but with keeping your home and items safe. These are certain garage locks, rolling code technology on your garage door openers, vacation settings, and even having Wi-Fi on your opener which can track it being opened and closed directly to your smart phone. With better technology garage door safety features have gotten better as well. Garage door motion sensors are a feature which play a huge role in safety. With many garage doors weighing up to 300lbs+ as the heaviest moving part of your home a safety sensor can save you from being crushed. What garage safety sensors do is detect movement underneath the area the door will be closing. This prevents the system from continuing to close if you are standing underneath the garage door as the opener is pulling it down. Furthermore, it can protect your children, or pets and even your vehicles from getting damaged if the opener is activating the garage door in motion. Garage door sensors are simple, there are lasers on each side of the garage door tracks that are aligned. If the laser detects movement while it scans the area it will activate and stop the garage door from moving any further.